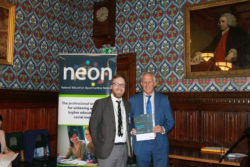 NEON were delighted to be hosted by MP Gordon Marsden, Shadow Minister for Higher Education, FE and Skills at the Palace of Westminster for the fifth Annual NEON Awards on 17th May 2018. 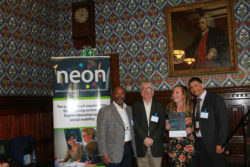 The NEON Awards provide a platform to celebrate the successes and accomplishments of our members and their learners in widening access to higher education and enabling social mobility. With over 60 nominations, shortlisting was a difficult process and it has highlighted the excellent work that is being carried out by both institutions and individuals across England and Scotland. A big congratulations to all of this year’s winners and commendations and thank you to all who submitted a nomination. 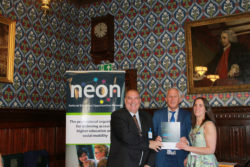 Please see below for the winners and commendations from the 2018 NEON Awards. City’s wide ranging Primary Outreach Programme develops and empowers uniquely close and sustained relationships with Partner Primary Schools. The programme combines rigorous evaluation and targeting with creative outreach activities including tutoring, on‑campus and in‑school visits, to provide bespoke support for target schools, parents and learners. Key activities include 11 Subject specific ‘Spotlight’ days exploring University study and uniting learners and academics in collaborative knowledge building. 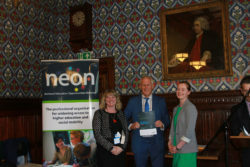 Evaluation indicates 80–100% of students, attending Spotlight Days, experience an increase in aspiration towards and knowledge of higher education (HE). Over 200 participants attend Spotlight Days each year. Studylab facilitates the delivery of a tailored programme of academic student support to improve academic engagement and the performance of students identified as being at risk of not progressing. Support is provided through one‑to‑one and group tutorials as well as through workshops. Some of these are led by recent alumni from the milestone groups, who also act as role models. 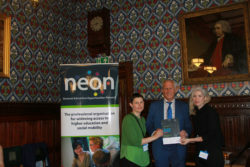 While the project is inclusive and open to all, as an Access Agreement funded project its focus is on students from non‑traditional backgrounds including BME, mature students, those with a disability or dyslexia, care leavers and students who are first in their family to go to university. 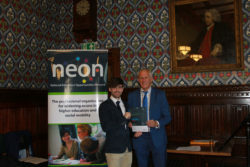 Jack has mentored on the nationally recognised BrightMed programme since his first term, taking the lead on delivering existing full day teaching interventions as well as designing and delivering his own sessions. In addition, this academic year Jack has applied his understanding and knowledge of pedagogical principles from an intercalated MSc. in Medical Education to support new medical student teaching mentors in their own design and delivery of widening participation (WP) interventions, offering advice, constructive feedback and encouragement. Jack’s MSc research project will help inform future selection and training of WP teaching mentors for BrightMed and other WP programmes. 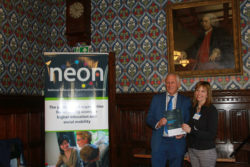 Felicity has worked tirelessly at a local and national level towards the aims of widening access. She is a firm believer in cross‑sector collaborative working and has striven to build, sustain, and lead effective collaborative partnerships, in a range of funding environments – through government funded projects, pooled organisation funding, and within contexts of no funding which depend on goodwill. She managed the National Networks for Collaborative Outreach (NNCO), and the National Collaborative Outreach Programme (NCOP) in Kent, and worked with partners to ensure that these enhanced and strengthened Kent & Medway Progression Federation. Felicity is also unwavering in prioritising the needs of students, and ensuring they are kept at the heart of everything that is done. With one of the most diverse student populations in the country including some of the highest proportions of BAME (55%) and mature (63%) students in the UK. 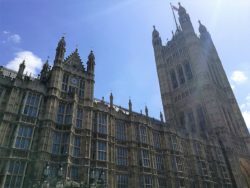 Over the last two years, University of West London (UWL) has invested significantly in widening access to university for under‑represented groups, and embedding robust support mechanisms to ensure their success. Offering a wide range of support and activities for learners at primary school level through to those considering returning to education, widening access is a firm aim of the University’s strategic plan and lies at the heart of their mission and they continuously work towards further improving access to UWL and the higher education sector. The college invests heavily in the progression of under‑represented groups to higher education (HE) and has set up a Go Higher West Yorkshire Task and Finish Group. This group ensures that HE activities hit the right target groups and that they do not replicate the work already being done via other strategic programmes. Because the group includes senior decision‑makers and operational staff, it can act swiftly, knowing that it is acting within the overall strategic objectives of Minsthorpe Community College. Serving a disadvantaged community, the college has over 60% of its sixth form progress to HE. This is the result of having a sustainable programme of wrap‑around support to encourage students from under‑represented groups to make informed choices about progression to HE and its success rate at GCSE and A‑level allows students to achieve the grades that allow them to progress. The Forum’s primary focus is supporting the educational progression of Care Leavers (CLs) and Looked‑After Children (LAC). The forum meetings take place once a term, and demonstrating its true partnership, are attended by an equal mix of HEI, local authority, and third sector organisations. The forum not only allows the opportunity for sharing information, experience and knowledge, but also for the planning of collaborative activities, such as the annual Care Leaver Awards. The forum has provided opportunities for staff to share information and expertise and for collaborators to get involved in various projects, including focusing on homelessness, research and increasing apprenticeship participation across CLs.